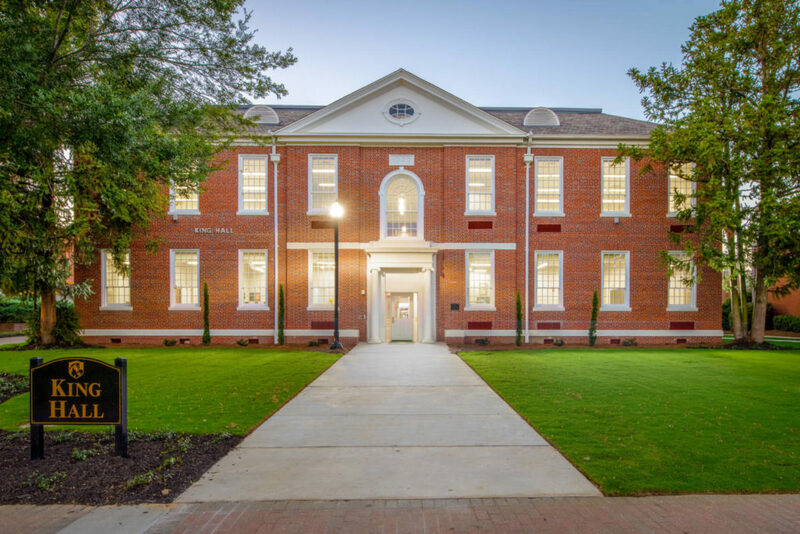 Constructed in the 1930s as a Works Progress Administration building and campus library, King Hall now houses six classrooms and twelve office spaces for Abraham Baldwin Agricultural College. The building’s interior was remodeled several times over the years and many of the original finishes were removed or covered up. In the rehabilitation, the project team strove to maintain as many of King Hall’s remaining historic features as possible. Historical elements were reused, including all interior trim and several interior, solid wood doors. Non-historic windows were replaced with new wood windows to match the original. Extensive work was also done to replicate the original front entrance.